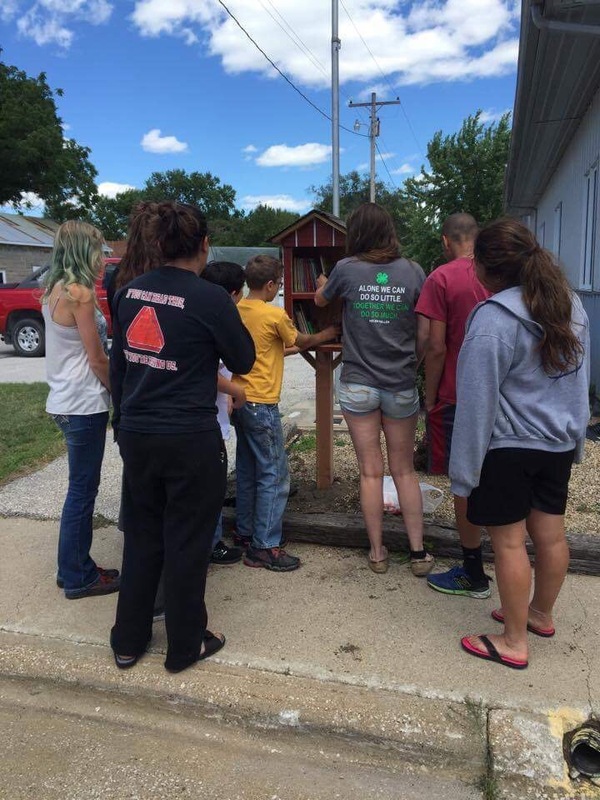 With the help of area farmer/woodworker/craftsman David Lundberg, the Bluff Creek Wranglers 4H club was able to install a small library in the city of Pilot Mound. 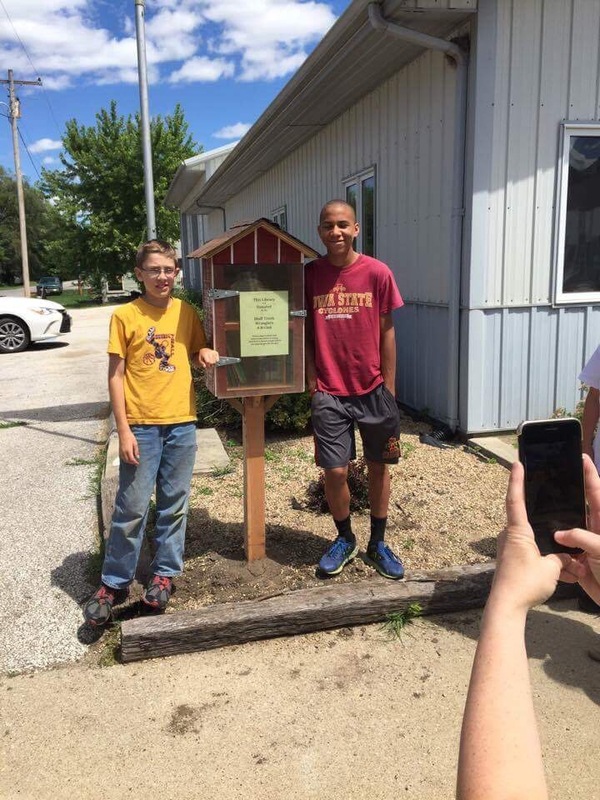 Located on the North West corner of the Community Building, the library is an opportunity for local residents to borrow a book to enjoy, and also a chance to donate a book they thinks others would like to read. Club members donated books from their own collections, mostly geared to the youngest residents of Pilot Mound. It is the club’s hope that Pilot Mound’s kids and adults can discover the joy of reading, without traveling out of town.